You’re on Twitter and you’re using it. You always tweet. And when you tweet, you wait for people to retweet your tweets, comment on your tweets and follow you on Twitter. You keep on login to your Twitter account to see how your tweets are performing. Every time you check your tweets, you’re left pondering about one thing. Yes, you’re not getting the kind of attention you deserve from Twitter. People are hardly noticing your tweets. It’s like you never said anything on Twitter to them. Why are your tweets not receiving many retweets, likes and comments? Why are Twitter users not following you? Even if some of your tweets are retweeted, they don’t amount to anything of significant. They are very few in that you can count them using your fingers. . . like the way you did the counting in baby class. Are you wishing you could write tweets that will get a lot of retweets, likes, comments and drive more traffic to your blog? If right now you’re struggling using Twitter to drive more traffic to your blog, just forget everything you have been doing wrong. Stop wishing. It’s time to make it happen. “How?” You may just be wondering. Here is how you’ll achieve that. I’m going to walk you through 16 Simple Twitter Techniques that will get you more traffic today. Start using these16 techniques because they work. It is good that you’ve asked this question. You see, I have been studying how people are using Twitter. I have also read Twitter tactics shared by leading bloggers. In the process, I have discovered the tactics that are being used to create tweets that stand out. In short, I figured out what works. Before we even go into details about the 16 Twitter techniques you should start using today, let me give you a brief overview on what has already been said online about Twitter. To begin with, Twitter social networking site has more than 500 million users of which 332 million users are active. More than 500,000,000 tweets are sent each day. 1.) Fun and entertaining content. Data shows that when followers are asked specifically to “RT” or “Retweet”, there is twelve times higher “Retweet” rates than when followers are not asked to “RT” or Retweet. Buddy Media reported that link clicks account for 92% user interaction with tweets. According to information published by Twitter, 50% shopped at or visited websites of small and medium-sized businesses they follow on Twitter. It is farther revealed that 60% bought something they saw on Twitter from small and medium-sized businesses they follow. Are you ready to create tweets that will get retweets in order to drive more traffic to your blog? Here are 16 techniques you can use to create tweets to acquire new customers and retain your existing customers. You should create a Twitter profile for your blog. It is the one that is going to tell Twitter users what your blog is all about. The profile you create should brand your blog. Use it to showcase your work. Use the name of your blog as the user name. This way, you’ll optimize your blog in the search engines since the name of your blog has a keyword. It is even better if you use your name. By using your name, your followers know that they can reach you directly. Twitter users will easily associate your blog with your Twitter account. You’re creating a Twitter profile for your blog so that you increase its brand awareness. You’re going to increase brand awareness for your blog by uploading the logo of your blog to be your Twitter profile photo. Every time you post your Tweets, the logo of your blog is going to be shown as an icon on your tweets together with your user name. However, there is nothing wrong if you use your photo to be your Twitter profile image (icon). Twitter gives you 160 characters to use in writing your bio. You should create a bio that will create an interest in people to visit your blog. Remember your goal is to drive more traffic to your blog. 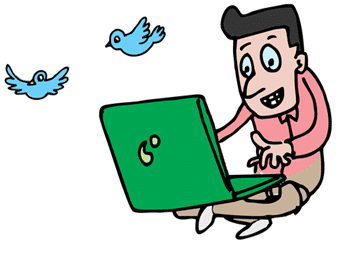 Write a bio that will tell Twitter users the benefit(s) they’ll get if they visit your blog. In other words, your Twitter bio should have a call to action with a link to your blog. It is all about making your blog known by people you’re targeting on Twitter so as you build an audience for your blog on Twitter. You want people to identify your brand. It is for this reason you should upload the logo of your blog to be your Twitter cover photo (header image). Your logo will create an interest in people viewing your Twitter profile. You want to showcase your work on Twitter. The most effective way you’re going to do this is by pinning your recent blog post. Twitter users are going to read your recent blog post. This is how you’ll drive traffic to your blog from Twitter. Statistics reveal that tweets with image links usually receive 2 times engagement rate compared to tweets that don’t have image links. Visual images always create an interest in online readers to click a link to find out more information that they don’t know yet. If you are already using Pinterest, you should link it with your Twitter account. It’s one of the tactics you’re going to use to build an audience for your blog. As you share pictures on Pinterets, they’ll be posted to your Twitter account. It’s important that you accompany your tweet with an image and a link to your blog post. By doing this, you increase the chances of your links being clicked by people who will read your tweets. You should not use images for the sake of using them. Use images that are relevant to the information contained in your tweets. Use stunning images to create an interest in people to click-through. One of the techniques to create tweets that will get retweets is by creating curiosity. Make your twitter followers and other Twitter users to be curious to read more information. You’ll do this by giving information that is provocative in nature. You should exploit the curiosity of Twitter users by providing information in your tweets that isn’t enough to satisfy their curiosity unless they click your tweet link to read more information. This is how you should create tweets that will get retweets to drive more traffic to your blog. I know this surprises you. You’re wondering how you are going to do this because Twitter limits you to only 140 characters. Let’s face it, sometimes 140 characters aren’t enough to give enough information that will influence Twitter users to make a buying a decision. They need more convincing information. Today I’m telling you that you can easily tweet more than 140 characters. Here is the secret on how you can do it. . . I.) Write information on pictures that will preview your blog posts. Here, you’re simply adding text to pictures that you’ll tweet. II.) Take a screenshot of your blog posts that you’ll then tweet as pictures. There is software you can download online to help you take screenshots of your blog posts. You can then a write a brief tweet that is less than 130 characters to tweet along with your screenshot. Below is an example of such a tweet. Remember that the brief tweet you write to accompany your screenshot blog post should contain a link of that particular blog post. You should always shorten the link of your blog posts that you’re going to tweet. You should not use any other URL shortening service other than Bitly. For sure, Twitter wants to make profits from advertisements. They are in business. When you tweet, your tweet is not likely to reach as many people as possible it’s targeting. One way for you to ensure that your tweets get the attention they deserve is by promoting your tweets on Twitter. You should purchase Twitter Ads to promote your tweets so that you drive more traffic to your blog. 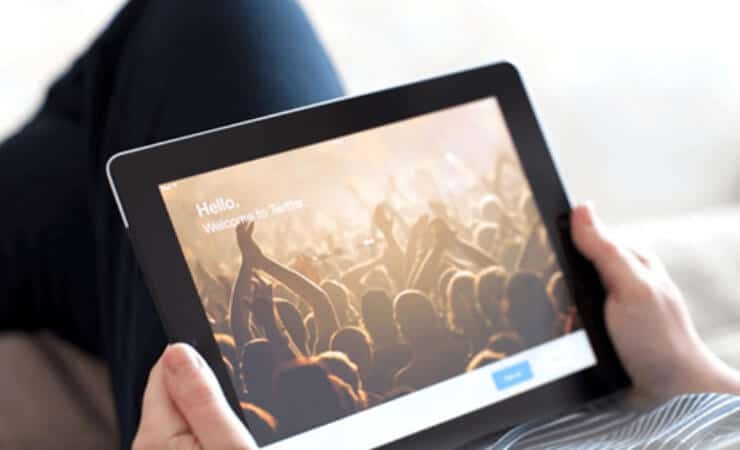 The good thing about using Twitter Ads is that they make it possible for you to target the right demographic and to tailor your campaigns according to your budget. This is how you’ll create tweets that will get retweets to drive targeted traffic to your blog. Another technique on how to create tweets that will get retweets is by tweeting thought-provoking quotes that link back to your blog posts. You should write the quotes (quote text) on pictures that will inspire people. There are online services such as Picfont.com that enables you to add text to pictures. Thought-provoking quotes will make people to be curious to click your tweet links to read more quotes. You can also create thought-provoking quotes from experts or influential people in your niche. It will help you to associate your content with recognized people in your niche. Such tweets will influence your followers to respond to your tweets. The most effective technique you should use to drive more traffic to your blog is by engaging your followers on Twitter. When you engage people on Twitter, they’ll know that you are a real person whom they can interact with. You draw their attention to you and eventually they’ll trust you enough to do business with you. You’ll win them to visit your blog. You should not always tweet your blog posts. Focus more on tweets that will create an interaction with your followers. One way that you’re going to build a rapport with your followers is by asking them questions that beg for answers. Ask your Twitter followers questions in a way that is friendly. You should not forget to ask them to retweet your tweets. Another way you’re going to engage your followers is by reweeting and commenting on their tweets. Share your opinions regarding the subject they’re tweeting. You can even clarify a point by sharing a link of your blog post that is relevant to the subject they’re tweeting. This way, people who are reading comments will read your comment and some of them will even click your link to read that blog post. Since Twitter has made it possible for users to attach poll questions to their tweets, you can now engage people by asking them to participate in your poll. It is one way that you can use to get a feedback from your followers. You’ll get to understand exactly what people think about your blog or your product. You’re likely to drive more traffic to your blog if you ask your Twitter followers to participate in a poll. Some of your followers will inform people they’re following to participate in the poll also. Many Twitter users don’t know that they can use direct message to engage their followers and also to increase their conversion rate. You should send direct messages to your Twitter followers to inform them about your offers or to share any information that they’ll find interesting to read. 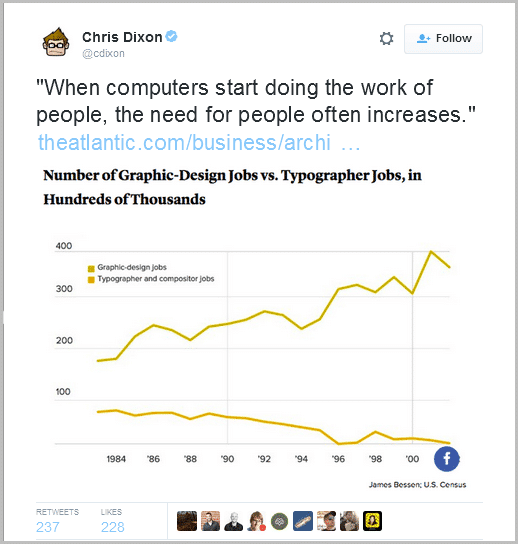 People love to read graphs because they help them to easily digest data. In case you have done a survey and you published it to your blog, you should create an interesting tweet about it. Use numbers as they’ll make your tweet to stand out. See below how Chris Dion did this. Your followers and other Twitter users are likely to Retweet your tweet that has information regarding statistics. The reason you’re using Twitter is to drive more traffic to your blog. Don’t just tweet without having a call to action. 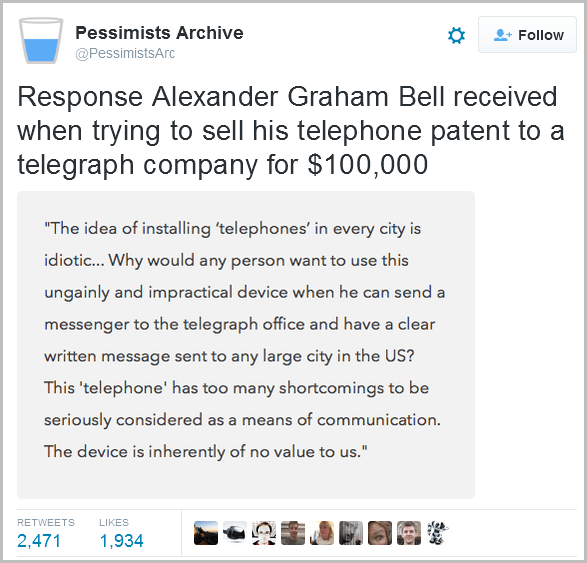 Include a call to action in your tweet that is clear. When you include a call to action in your tweets, you influence people to visit your blog. A good example of a call to action is asking Twitter users to download your free e-book from your blog. Of course, your call to action has a link to your blog. You can’t ignore using the hashtags while tweeting. Hashtags will greatly help you to take your tweets to the right people they’re targeting. In other words, your content reaches the people it’s targeting when you include a hashtag in your tweets. It’s true that your tweets are likely to receive 2 times more engagement if you use hashtags compared to when you don’t use any hashtag in your tweets. Use hashtags while posting tweets to gain exposure and also to get many click-throughs. When you use hashtags, Twitter users will easily find your tweets while searching for information on Twitter website. You’re going to use hashtags that are relevant to your tweet topics. The hashtags you’re going to use should have an audience on Twitter. You should never use a hashtag that people are hardly using on Twitter. You should not use more than two hashtags in one tweet. You can either place a hashtag at the beginning, at the middle or at the end of your tweet. Note that you can place a hashtag anywhere in your tweet. Although there are some Twitter accounts having thousands of followers that have never tweeted or with very few tweets that are less than ten, but I recommend you to be an active Twitter user. The more you tweet information that is entertaining, has news updates about your industry, has free give away digital products, has access to exclusive content, has discounts and promotions, then the more you’re likely to influence Twitter users. Twitter users will follow you, retweet your tweets and like your tweets. The reason some tweets are not receiving retweets, likes or click-throughs has to do with the timing. Don’t tweet when most of your followers are not on Twitter. 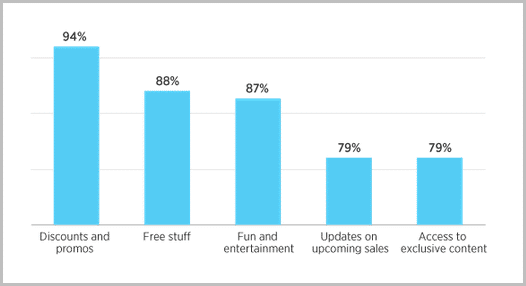 According to a study that was done, weekends have a higher engagement rate when it comes to tweets. In fact, the engagement rate is higher by 17% during Saturday and Sunday compared to other days of the week. There is another study revealing that tweets posted during the afternoon hours receive more click-throughs compared to tweets posted during the morning hours. I recommend that you study different times you’re tweeting to find out the appropriate timing that works best for you. When you read popular blogs, you won’t miss to find a case study blog post. By publishing a case study to your blog, you’re helping your readers to identify a particular phenomenon. They will learn the necessary steps to take to handle it. 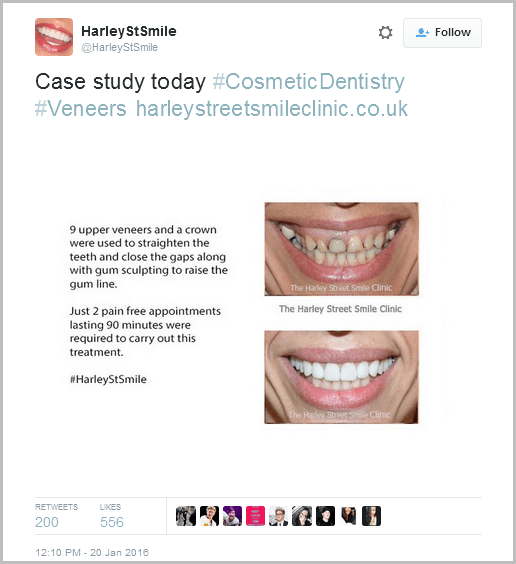 Here is a case study tweet by HarleyStSmile. Not every case study will receive a lot of retweets and likes. Do your homework well before you tweet a case study. I have come to realize that interesting tweets are retweeted many times. People are looking for entertaining content to read or view on Twitter. Create tweets that appeal to Twitter users. This is the technique that you should use to create tweets that will get retweets so that you drive more traffic to your blog. Why should people follow you on Twitter yet you’re not following anyone? If you’re not going to follow anyone on Twitter, then you’re telling Twitter users that there is no need for them to follow you. I’m not telling you that you should follow any person you come across on Twitter. You should follow people whom you share the same interest. One way of encouraging people to follow you on Twitter is by adding Twitter button on your blog. Ask them to follow your blog on Twitter. Don’t buy followers on Twitter. Let people follow you genuinely because they like what you’re tweeting. They know that they’ll benefit from your tweets. Remember that your Twitter followers have the potential to become your long-term customers. Another technique that you should use to create tweets that will get retweets is by mentioning popular experts or influential people in your niche. It is one way of telling people that they should pay attention to your tweets. I.) You have featured them on your blog posts. II.) You have interviewed them. III.) You have retweeted articles mentioning them on other blogs and websites. Some of the experts and influential people you’ll mention are likely to retweet your tweets. When they retweet your tweets, you’ll gain exposure to other Twitter users that didn’t know you. You’ll also gain followers and drive more traffic to your blog. Remember that popular experts and influential people in your niche can make you to gain a lot of publicity that is positive. Tweeting is not supposed to be hard work. It shouldn’t be something that causes worry to you. It is supposed to be a fun way of sharing information while engaging people from every corner of the world. Having a blog to share your interest with people is more than enough reason to reach out to like-minded people on Twitter. Bloggers like you have the responsibility to help people benefit through information. Put your creativity to craft interesting and compelling tweets. Interesting tweets will always get retweeted. Don’t forget the power of using a hashtag when tweeting your tweets!